• The new Elijah Interfaith Institute website has been designed with the intention of enabling visitors to gain a clearer understanding of our activities and much easier access to the rich resources our scholars have created and contributed. • In 2013, we launched the learning platform of the Hermes Forum for the Interreligious Study of the Mystical and Spiritual Life which contains a wealth of material from six religious traditions. This platform will continue to be accessible directly and will also be linked to our new site. 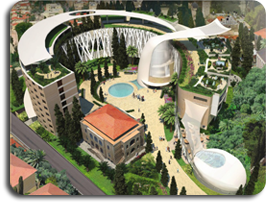 2013 brought us significantly closer to fulfilling our vision of establishing a Center of HOPE (House of Prayer and Education) in Jerusalem. A site was identified, architectural plans were drawn up, a beautiful brochure was produced and we began to share the vision with people of faith around the globe. • Members of the Elijah Board of World Religious Leaders were prominent in many interfaith gatherings, including the Kumbh Mela, where Rabbi Dr Alon Goshen-Gottstein joined Shrivatsa Goswami and representatives of Christianity and Buddhism in a series of presentations. • As reported in last month’s Sharing Wisdom, leaders including Rabbi Awraham Soetendorp and Imam Umer Ahmed Ilyasi have been pivotal in environmental programs, particularly programs focusing on the need to ensure that all the world’s population has access to clean water. • The voices of many of our leaders have been raised to call for justice, compassion and peace in their own countries and globally. 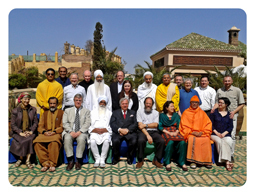 • The third face-to-face meeting of the Hermes Forum (see above), a Forum of the Elijah Academy, took place in Marrakesh in 2013. In an important initiative, the Forum continued to meet regularly in cyberspace, where one member of the Forum teaches a lesson to colleagues from the Forum based on sources from her or his tradition. The series of lessons will soon become another resource on the learning platform and available for all to see. • The John Templeton Foundation has funded a pilot project of the Elijah Academy on the theme of ‘Religious Genius’, studying saints across religious traditions. A group of scholars from the Academy with an interest in this topic have held two in-person meetings and have produced essays and collections of primary sources that will become available on the new website. • Scholars from the ‘Jewish Theology of World Religions ’ project continue to collaborate and share their wisdom with one another. Over 100 lesson plans and hundreds of annotated sources are already up on the dedicated website. An announcement of the availability of this website to educators, seminarians and specialists is due to go out in 2014. 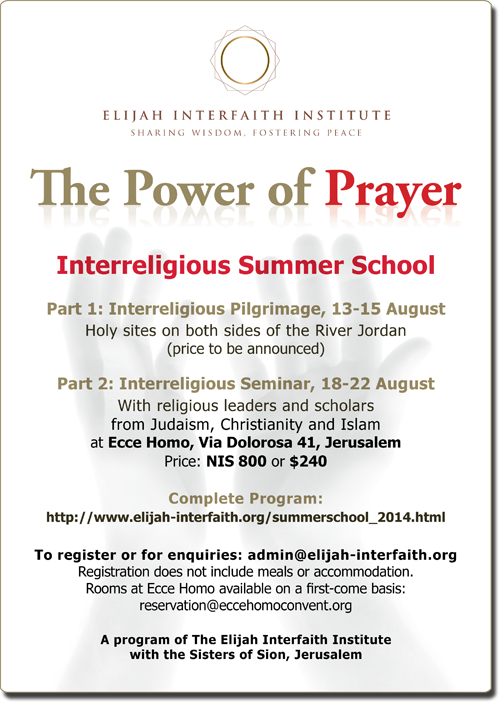 • ‘Religious Truth’ is another topic that has been tackled by Elijah’s scholars. This challenging and fundamental subject has been the subject of papers, presentations at a global conference and was the theme of our summer school (see below). • The first week in February is UN Interfaith Harmony Week and in 2013, Elijah leaders in different venues around the world led ‘Prayers of Hope’. They issued a video on the same theme, which was updated for World Peace Day (see below) and is still being viewed and used. • When people are threatened, the religious voice needs to be raised and Elijah’s Board of World Religious Leaders was moved to issue a statement earlier this year to support the Copts in Egypt, who were in danger of persecution. • September was an important month. On September 21st, on World Peace Day, Elijah Leaders released a video of Prayers for Peace (see above). On September 25th, Elijah was represented at the Global Interfaith WASH Alliance. • The Elijah Interfaith Institute and Board of World Religious Leaders were represented at the launch of the Covenant on the Jordan River in November and was one of the first signatories. • In the Holy Land, Elijah has joined a coalition known as ‘Tag Meir’, which responds to attacks on religious sites or any form of racist or religion-based attack. 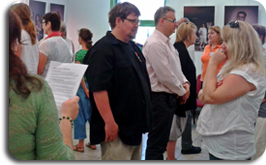 • Elijah’s participation in a two-year international Bibliodrama project, supported by the Grundtvig Fund of the European Union, drew to a close this year. Highlights of 2013 were the conference in Krakow in May, chaired by Elijah’s Director of Educational Activities, Peta Jones Pellach, and attended by participants from 10 European countries, and the Grundtvig course held at Kocaeli University in Turkey on Bibliodrama as a ‘Peaceful Way to Experience Diversity’ in which Elijah was prominent. • Sponsored by Yeshivat Chovevei Torah Rabbinical Seminary, in partnership with Union Theological Seminary and supported by the Henry Luce Foundation, Elijah ran a summer-school in New York City for Jewish and Christian seminarians, which was co-taught by Alon Goshen-Gottstein and John Thatamanil and an impressive array of guest lecturers. Beyond building relationships and providing interfaith training, the summer school yielded striking similarities in understanding regarding how religious truth should not be an obstacle in interreligious relations. • As part of the Templeton Foundation sponsored project on Religious Genius (‘saints’ in world religions), a broad spectrum of religious communities in Oxford, including scholars from the university, local religious leaders and and other community members, took part in a seminar exploring the benefits and possible impact of studying saints across religions. The seminar suggested the appeal and inherent interest of the subject. We have used the past 12 months to make preparations for several exciting developments which will come to fruition in 2014. • We have already mentioned the release of a new website. • The first in a series of books developed from the papers of scholars in preparation for meetings of the Board of World Religious Leaders will be released by Lexington Books. • The Elijah Board of World Religious Leaders will gather for their 6th meeting on the theme, ‘Memory and Hope’ in May.